Create Climate Justice Net (CCJnet) is a platform provided and maintained by the Unitarian Universalist Ministry for Earth & Unitarian Universalist Association, for Unitarian Universalists and members of communities or groups working with Unitarian Universalist congregations or groups around a shared calling to create Climate Justice and greater respect for the interdependent web of life on Earth. 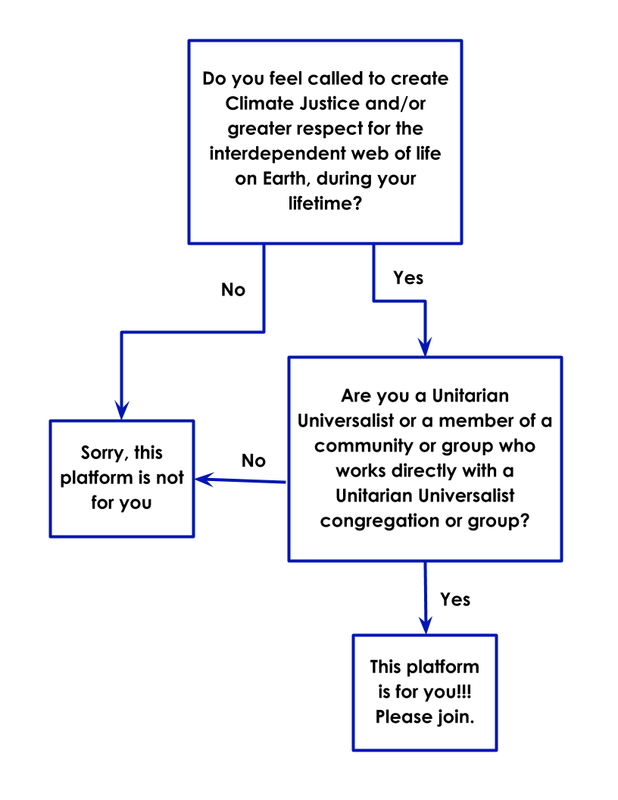 If you answered “yes” to the first question and “no” to the second question, you probably are wondering why Create Climate Justice Net is only for Unitarian Universalists and members of communities or groups working with Unitarian Universalist congregations or groups. This is because the Unitarian Universalist Association and Unitarian Universalist Ministry for Earth –– the two founding organizations of CCJnet – are mission-driven to empower Unitarian Universalism as a bold, prophetic faith rooted in service to justice, equity and peace. While the administrators of CCJnet would love to provide a service that supports all people and communities called to create Climate Justice and Earth Justice, we unfortunately do not have the capacity to do so at this time and must focus on supporting those with direct connections to Unitarian Universalist ministries. If you represent an organization that may be interested in a high-level partnership or sponsorship to expand the capacity and community base of CCJnet, please send a message to info@createclimatejustice.net with more information.